(Newser) – US health regulators on Monday approved the first prescription drug made from marijuana, a milestone that could spur more research into a drug that remains illegal under federal law, despite growing legalization for recreational and medical use. The Food and Drug Administration approved the medication, called Epidiolex, to treat two rare forms of epilepsy that begin in childhood. But it's not quite medical marijuana. The strawberry-flavored syrup is a purified form of a chemical ingredient found in the cannabis plant—but not the one that gets users high. It's not yet clear why the ingredient, called cannabidiol, or CBD, reduces seizures in some people with epilepsy. British drugmaker GW Pharmaceuticals studied the drug in more than 500 children and adults with hard-to-treat seizures, overcoming numerous legal hurdles that have long stymied research into cannabis. FDA officials said the drug reduced seizures when combined with older epilepsy drugs. The FDA has previously approved synthetic versions of another cannabis ingredient for medical use, including severe weight loss in patients with HIV, per AP. 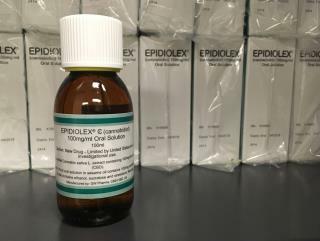 Epidiolex is essentially a pharmaceutical-grade version CBD oil, which some parents already use to treat children with epilepsy. CBD is one of more than 100 chemicals found in marijuana. But it doesn't contain THC, the ingredient that gives marijuana its mind-altering effect. Physicians say it's important to have a consistent, government-regulated version. CBD oil is currently sold online and in specialty shops across the US, though its legal status remains murky. Most producers say their oil is made from hemp, a plant in the cannabis family that contains little THC and can be legally farmed in a number of states for clothing, food and other uses. Glad these products, which may also help people with migraines (I hope), are hitting the market. The anti-convulsants I use to prevent migraines are wrecking my kidneys.